We just learned about this honey and absolutely love it. In the last 3 months we got 3 jars (1-pint and 2 -quart size) of honey! We bought the Dessert Blossom honey but would like to try the Orange Blossom when available. Your honey is so tasty! Best honey on the planet!! Thank you guys for all the hard work and providing us with that sweet sweet nectar! This was my first time buying honey from you. I got the Raw Orange Blossom. I really like the taste of it. It's got that mild citrusy taste. I not only have it on sandwiches, but have used it in recipes too. Good all around honey. Will be ordering from you again when this one runs out. Great local honey and service. You will not be unhappy with this product. Excellent. By far the best honey I have ever had. Amazing with oatmeal or on what ever I have to say my favorite is just on a spoon my throat. Loves it!! I switched to honey in my coffee 18 months ago. I’ve tried a lot of different types of honey but I keep coming back to H&H Orange Blossom. It’s the BEST so far. Love it! Absolutely the best honey!! I’m so happy I found you!! Thank you. Fast shipping also. Delicious!! Great service-corresponding with you made me feel like i was talking to a friend. I live in Mesa AZ and had this sent to my 'honey' who lives in Boston. He loves it! I have Montana honey here at my house now, but when that quart is gone will be ordering from here! Great service and incredibly fast. Clay's honey is so delicious. Honey has wonderful healing and health benefits and I love doing business with H & H Honey, they are the best. Love that it's REAL & LOCAL. Wonderful color, texture & taste. It's emollient for skin and yummy for the tummy! I picked up the orange blossom honey and it is by far the best I have ever had. I add it to tea and smoothies or over yogurt. Great stuff! Great tasting Honey! Easy to order and quick delivery. All the way from NJ....WE LOVE YOUR HONEY!!! We are moving out to AZ in just a few short months so our original thought was to get used to the AZ allergens, but now we are addicted....and we will continue to buy it once we get out there. Shipping is always incredibly fast too. Keep up the good work. I bought some pollen from H&H last April. Great healthy goods. Its time to reorder and I'm glad H&H is there for all my honey needs. Thanks, H&H. I've ordered honey from H&H many times... delicious honey, super quick service, GREAT value. 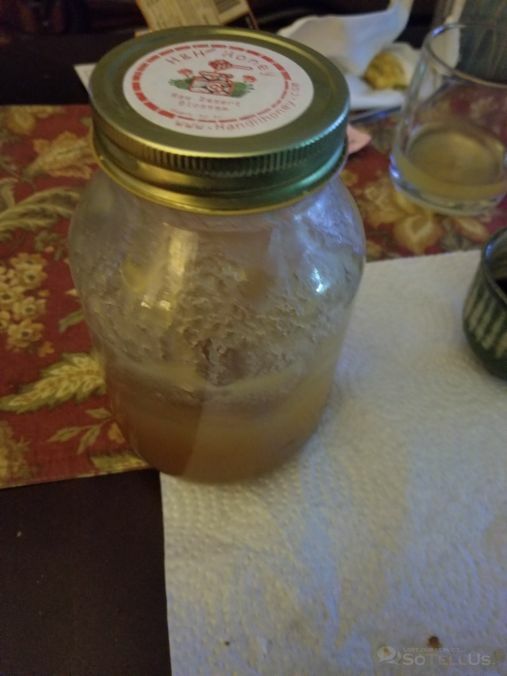 Purchased 2 quarts of honey about 6 months ago. This is the best honey I've ever tasted. H&H rocks the honey world! I have bought honey from all over the world and H&H Raw Mesquite Honey is one of the Very Best I have ever tasted! Also , I don't buy honey unless it is completely raw because this is where you get all the real nutrients that honey contains! I believe H&H produces a High Quality Raw Honey the way it should be! Best hhoney I've ever had. I eat a spoonful of it after workouts for no particular reason other than its delicious. This honey is amazing! I had the mesquite honey and cant seem to get enough of it. I sneak it like I sneak candy, for when my kiddos catch me with a piece of toast, drizzling this golden goodness on it, they run at me and tackle my legs demanding to have a bite- which, by the time they are done, is about all I am left with!! Just a word of cation though, if you aren't used to amazing honey, once you get hooked on this stuff, you will never think honey from stores or what they offer you at a restaurant is good again!! This stuff is fantastically good and you wont be able to go back to regular honey again! !